The Curse Of The Welsh Rarebit! Having put on a few pounds over Christmas, I decided it was time to do something about it. Actually, not all of that opening statement is true! I haven’t put on a few pounds just over Christmas, I have been steadily putting on the pounds over the last two years. 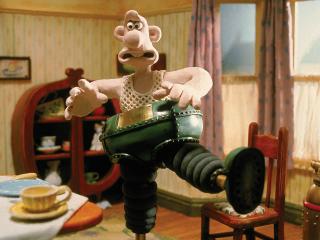 Or has someone given me the wrong trousers? Eleven months ago I posted about attempting to lose some weight (see here) – so is there anything new in this post? On returning to the UK from my holiday in August 2008, I was horrified to find out that my cholesterol levels were too high. According to our National Health Service, the upper figure for cholesterol should be 5 – mine was over 7! At the time, I heeded the warning signs and adjusted my diet accordingly. Within a month, I had reduced my cholesterol level to just below 5. I decided to continue this change in diet, which was only to cut back on the high cholesterol stuff like butter and cheese – at least for the next ten months, and just before we went on our annual holiday in 2009, I had shed 10kg/20lbs/a stone and a half (however you like to look at it). That, though, is the last bit of good news I can report on the weight loss. Since that holiday, I have only gained weight and now find myself two stones (27lbs/13kg) heavier. I confess, I love butter and cheese. 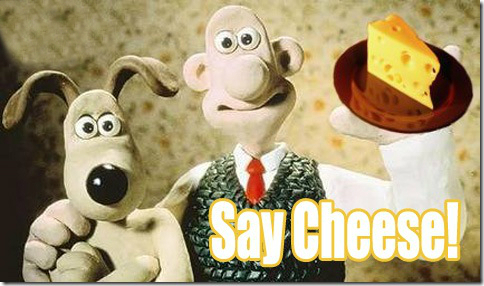 Wallace & Grommit – Fellow Cheese Lovers! Obviously I couldn’t maintain such a life style change – I am too weak! So now, I am attempting an altogether different life style change. One which, according to everything I have so far read, is far more sustainable. This time, I am attempting the new Intermittent Fasting Diet. Also known as the 5:2 Diet. And if you haven’t heard about it, don’t be confused by the word ‘diet’. Diets, as I have found to the detriment of my weight, are not always sustainable. At least not for people like me! They are OK for a while, but as soon as one slips up, like over Christmas or on holiday, it is very difficult to find the motivation to get back into them. The 5:2 diet means eating normally for five days of the week and cutting back on the calorie intake on the other two. On the two fasting days, men are allowed 600 calories and women 500. This means that you only really have to watch what you eat on two days a week. Something which surely even the weakest amongst us, like me, should be capable of. Of course, it doesn’t mean I can pig out on the other five days and consume twice as many calories as I would normally. The research, admittedly this is still in its infancy, shows that the reason this works is because once the routine has taken hold, the person taking part in the diet doesn’t want to increase their calorie intake on the ‘normal’ days. Also, once the desired weight is reached, a person can switch to a 6:1 diet for what is termed ‘maintenance’. So, here we go. I am three days in – one fasting and two normal – and nothing to report so far! Except maybe the odd dream of cheese. 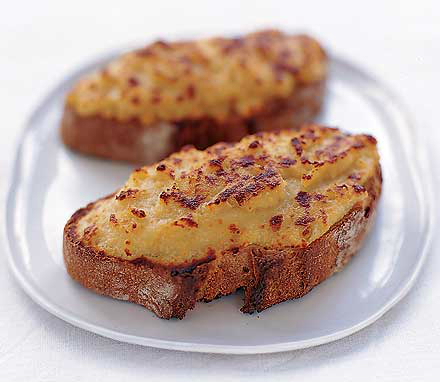 The Curse Of The Welsh Rarebit? Categories: Cheese, Diet, Dreams, Food, Health, Light Hearted, National Health Service, NHS, Postaweek2013 | Tags: Cheese, Diet, Fasting, healthy-living, intermittent fasting diet, Postaweek2013, Wallace & Grommit, Wrong Trousers | Permalink.